Miyazaki's greatest story was told quite some time ago. 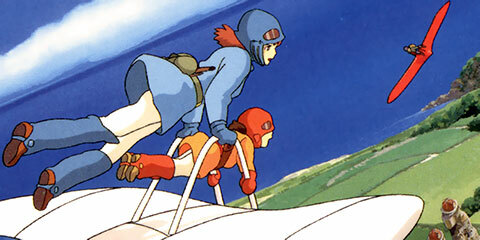 Fans of the imaginative creator who have only recently discovered his talent may be surprised to hear that there is a work that surpasses even the wondrous Spirited Away and Princess Mononoke, but it exists, and its name is Nausicaä. The animated version of Naoki Urasawa's manga tells a story of corruption, violence, and the evil that we are all capable of. How can a man live with himself when every time he saves a life, someone else has to die? This campy little anime pokes fun at the entire boy's love genre, while still managing to add a neat little plot and some romance to the pot. For fans of cute shounen-ai titles, this might just be the next big thing. Star Wars: Force of the Samurai? George Lucas' universe of Star Wars is popular just about everywhere, with Japan as no exception -- Ridwan analyzes the fascinating parallels between Jedi lore and traditional Japanese samurai custom. Before Tekken, Virtua Fighter, Soul Caliber and Mortal Kombat, there was Street Fighter II -- not the first fighting game ever, but arguably the most influential. Now a decade and a half later, we're getting a new comic book series based on the franchise, and it's time to rejoice. Patrick's a big fan of video games, but he hates the way some of the best titles of yesteryear disappear, only to be procured from some obscure vendor for an obscene price. Within, discover Pat's solution to this aggravating problem, and become a gamer with a mission! Tickets, please... Though decades old, Leiji Matsumoto's Galaxy Express 999 endures as one of the classic milestones in anime and manga, and, as Aaron explains, one of the most thought-proviking as well.